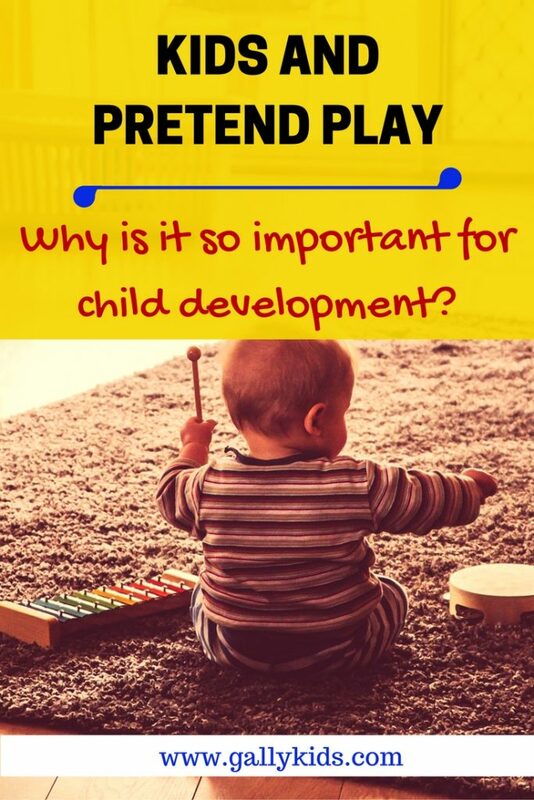 Why Is Pretend Play So Important In Child Development? One of the endearing things you’ll see as your baby becomes a toddler is the first time she plays pretend. It’s different for every kid. One child might pick up a mobile phone toy and talk like she were daddy. Another child may prop all her dolls on the floor and pretend like they’re having a picnic. Others may have a go at the play kitchen set and pretend he’s a chef. There are now a lot of research on the importance of symbolic play on children’s mental development, but Jean Piaget is greatly credited for his theory on the three stages of play. According to Jean Piaget, there are three stages of play that a child goes through. This play has a lot to do with testing one’s sensory motors – peek a boo, grasping and shaking a rattle – all these is a form of play. This usually involves two skills. First, the child uses a pretend play toy as a symbol of a real object. Some examples of these include having afternoon tea using playcups, using playdough for food or a play kitchen for boys and girls. A second part of pretend play is role playing. This is when kids pretend to be Superman, a doctor, a chef, – often characters or people he is familiar with. This is when a child is usually ready to follow rules to play a game properly. Snakes and ladders, monopoly and other board games become a lot more interesting now when they already know how to follow the rules of the game. Play in itself has always been considered an important factor in a child’s cognitive development. It plays a big part on children’s daily experience. For this reason, it is best to encourage pretend play among young children. Pretend play at this young age allows a child to explore the world around him from a safe environment. As a child plays, he learns. He observes the world around him, she listens to conversations, watches the environment, and then she makes her own little world based on her observations. By doing so, she learns many things. She finds out how the world works. She learns to reason. She also tests the “real” world before actually becoming a full-pledged adult who works . This observing and pretending is very crucial in the learning process. As Anthony Pellegrini et al states on their paper, Play and Evolution in Development, play is important in development because new life strategies are developed at very little cost to the individual. Here are the emotional and cognitive skills that a child develops when engaged in pretend play. One of the cutest thing is when a toddler plays pretend and starts using words and phrases that he would not be able to use normally. There may be many times when it feels like your toddler is not listening to what you’re saying. But she will surprise you at some point. We all know of those videos of kids swearing that have gone viral, don’t we? Research show that symbolic play develops a child’s mental skills. Many pretend play involves a lot of reasoning and thinking skills. For example, let’s talk about a child pretending to be an astronaut. She needs a rocket or a spaceship. She will probably get some of the boxes you have lying around (you have some of those, right? ), and then make a rocket for herself. Or think about your little one playing with a play kitchen for boys. He is practicing what he has seen — that putting things in the oven or the stove, cooks something.It’s also a way for him to identify what things are and where things go in the kitchen without the dangers that real kitchen can sometimes bring. All these requires using her mental skills which helps its development. Pretend play may not be real. But whenever a child engages in one, he propels himself into a parallel world that allows him to participate and reason. A child explores how people interact with each other, what to say when praised, what to do when someone is hurt (pretend doctor), what to cook for a hungry hippo (play kitchen sets anyone 🙂 ) , and what to say on a tea party. All these prepares her when she finally goes out of the comfort of the house and into a bigger social setting. 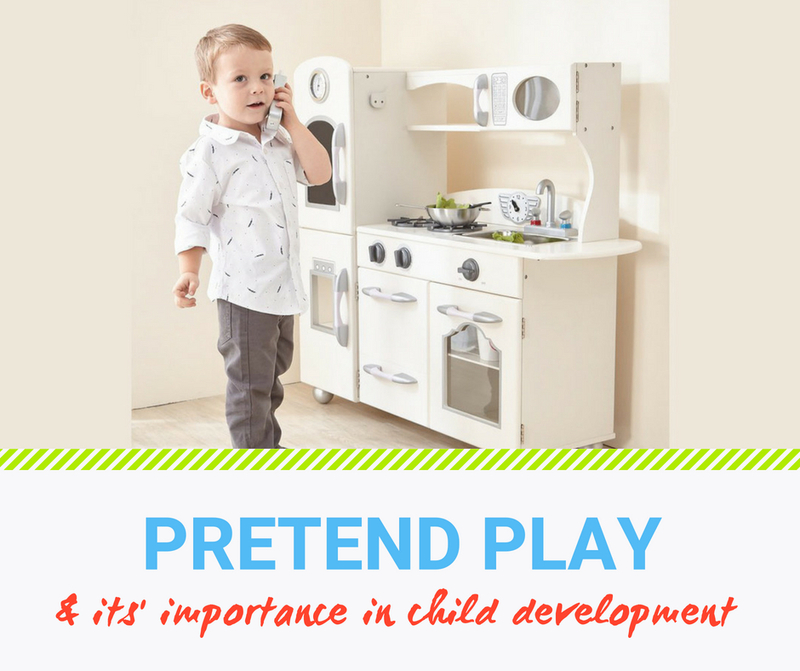 Pretend play comes about based on the observations that a child has of the world around her. She sees her mother cooking, she copies her. She sees Dora on tv talking to a crocodile, she starts talking to her stuff toys. She sees Pokemon and she might just use her Pokemon powers on her friends or on you. Symbolic play is highly influenced by what a child sees, feels and hears in the world around her. But this doesn’t mean that you can’t encourage it. There are a lot of different things you can do as a parent to get your child to engage in more symbolic play. Provide toys that encourage pretend play. This doesn’t mean you have to spend money on expensive play kitchens, as this can be as affordable as a Fingerlings toys or big empty box. In fact, a big empty box should be one of the staples in any house with a toddler or preschooler. Just imagine all the many things your child can pretend to have or to be with in that box. — a castle? A pirate boat? A rocket? – This is going to offer many hours of fun. Have many different clothes for dress-up. A doctor, superheroes, chef. Wigs are pretty cool too. Take a passive role when your child plays with another child. As two children engage in pretend play together, they learn many things. They learn how to stretch their limits. They also learn how to respond to negative and positive situations. This is something they need to learn and find out by themselves and by interacting with each other. By doing so, they learn some important life lessons that will greatly help them as adults. And yes you are right. But this is not the time to correct them. Let them find out for themselves. Let them explore it. Let them pretend. Some children may need a little bit of help at the start. Let’s say pretend doctors. The first time your child gets his first pretend doctor’s kit, you may have to do a little bit of encouragement first (for some kids). Say “Doctor, I’ve got a headache! Help!”. He might go on to pretend he’s a doctor or you may have to help him at first. And then once he gets the idea, leave him to it. I’m all for reading books to children. But another way to encourage symbolic play is to put the book down and invent a story instead. Say for example, have a teddy, a banana and a hairbrush. And then make a story that involves those three. This can be fun and really helps them explore that pretend world they live in. Younger kids will usually do just exactly the same story as you have done. But as they grow older, you’ll be amazed at your child’s great imaginative skills – often a lot more imaginative than yours! At night (or in a darkened room), turn off all the lights and do shadow puppets. Use the dining chairs and tables. Make the table a hideout. Cover all sides with a cloth. Or if your child is up to it, you can role play the Three Little Pigs. Use dining chairs as a train. Build a small town using small boxes, toilet paper roll, masking tape for roads and whatever else you can find that would fit in the little city. For older children, help them write a play (they can dictate it to you and you can write them down if they’re not writing it yet) and then to practice acting it out. If they’re really into it, you can even get them to have a show for the relatives during the Christmas get together. Your old clothes: These can make great costume ideas. Big boxes: always a lot of fun. They can be turned into houses, castles, boats, den, hideout. Household appliances you no longer need (as long as they’re safe specially for little ones): such as broken telephones, typewriter and the like. Use things in your house that don’t break or you don’t mind being broken like pots and pans, ladles, plastic cutlery. Add in some pasta, pop corn and cereal and you’ll have one happy kid. My child actually prefers to play with “mom’s” gadgets than the play toys. Old towels, clothes, pillows, cushions. Go outside. Make dens. Give them clothes to wash and pegs. Have an outdoor barbecue party. Cook cakes out of mud (my favorite when I was a kid). Make witch’s concoction using the herbs and flowers in the garden. Pretend fight. Some parents think that play fighting encourages children to become aggressive. But more and more studies show that play fighting actually helps develop a part of the frontal lobe of the brain especially in making judgements and reasoning. Of course, make sure that the play fight is in a safe and controlled environment. One of the things you can do is to observe what your child likes at the moment and then provide things that would help him pretend live in that pretend world. Is she into pretending to be mom right now? Give her a handbag, pretend make-up, cooking stuff, mobile phones, a pretend lap top – you get the idea. And now some of the best toys for pretend play. Play kitchen sets for pretend play: A short and quick guide on play kitchen set ideas. You don’t have to buy one. Get some inspiration and tools from your own kitchen and your little one will be more than happy to play with it. 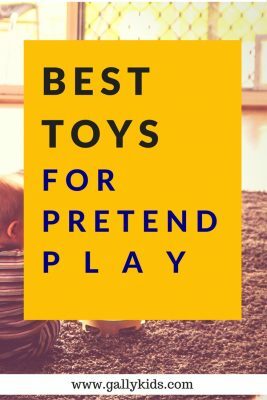 Best toys for pretend play: When your toddler starts to play pretend, it’s a very heartwarming (and often funny) experience. If you want some ideas on how to explore and encourage this developmental process, here are some toys you can provide him with. Play kitchen for boys and girls : Play kitchens happen to be one of the best pretend to play toys for kids. However, boys don’t always get to have them as toys as they’re “traditionally” thought of as girl toys. But if you’ve read the infographic above, separating toys as for boys or for girls really does more harm than good. If you’re thinking about getting your little boy a pretend kitchen, then have a look at this list. 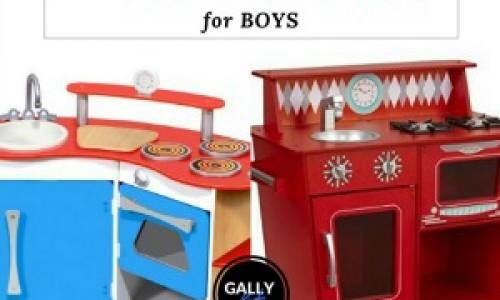 Don’t limit yourself to blue when it comes to play kitchen for boys in 2019. All different colors included here from espresso to red with realistic looking designs. These are great for pretend play. So you want to be Uma, the new Queen of the Isle, daughter of Ursula? I don’t blame you. A lot of other people do, too. 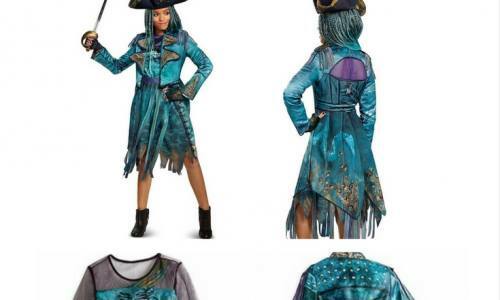 I bet that an Uma costume from Descendants 2 is going to be one of the popular costumes this year. The easiest way to get this outfit is to have the official Disney costume. It is, however, selling very fast, so if you’re reading this nearer to Halloween, you might find out that it’s not easy to buy one. This article has loads of different ideas for you to make an Uma costume yourself. Chucky. One scary doll who’s given some of us many sleepless nights. But then, when you see a toddler with a Chucky costume for Halloween, it’s funnily creepy. Or would that be creepily cute? What do you think? 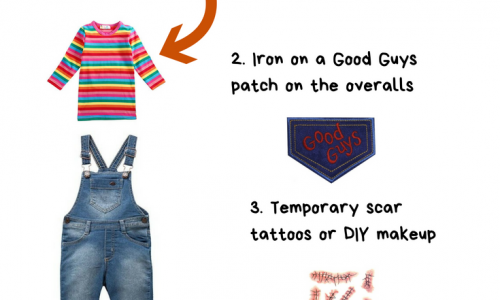 If you’re on the side who thinks it’s all good fun and you plan to dress your kid in a toddler Chucky costume, here are some ideas on how to make the outfit. Many young kids love to be cats when they do pretend play. 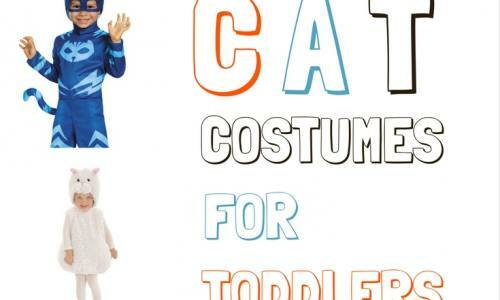 Many toddlers, especially the ones who have cats at home or would love to have their own cats, would love to dress up in costume just like their favorite animal. The classic black cat costume is quite popular. And it is a good one to wear. But also remember that there are a lot of other kids cat halloween costumes to choose from. Your child can go the complete opposite and be a white cat or a cheeky looking kitty cat. There are even costumes for many toddlers’ favorite tv character like Kwazii cat from the Octonauts or Catboy from PJ Masks. Here are some of the best ones we’ve seen. Hope you find one that your child will wear this Halloween. If you have a child who’s a fan of the PJ Masks tv series, you know that Owlette and her night superhero friends CAN do anything. And why not go with the girl power theme this Halloween with an Owlette costume? 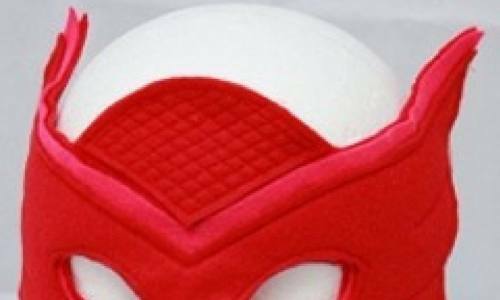 I bet your little PJ Masks fan is going to love it. Many toddlers are just beginning to learn about the world of dinosaurs. And for some of them, wearing a cute T-rex or Triceratops costume, or even one of the characters from Dinosaur train, is very appealing indeed. 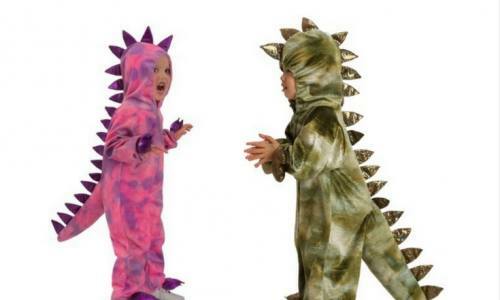 Many of the dinosaur costume for toddlers are very adorable. They come in many different colors, too. Here are some of the popular costumes that look good on any kid. It’s probably a good idea to get the type of character that your child loves the most, right? 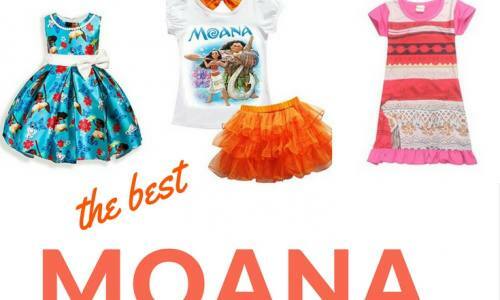 Whether you want the official Disney Moana costume for toddlers and older kids or a Polynesian Princess’s dress inspired by the Moana movie, you’ll find it on this list. This also includes video tutorials and DIY instructions on how to make your own Moana-inspired costume for kids. 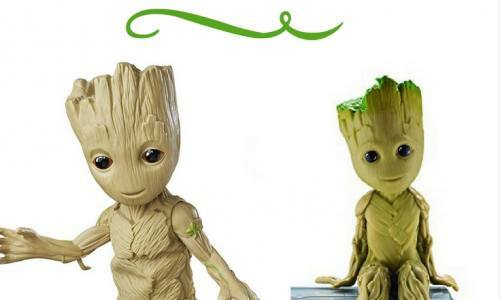 Dancing Baby Groot Toys (And More) That Your Kids Would Love To Have! Baby Groot stole our hearts in the latest Guardians of the Galaxy movie. And these Dancing baby groot and other toys will melt out hearts too. He was one lovable character in the movie that both adults and kids love. And you’ll be happy to know that when it comes to baby Groot toys, they are ones that kids can play with and adult fans can appreciate. 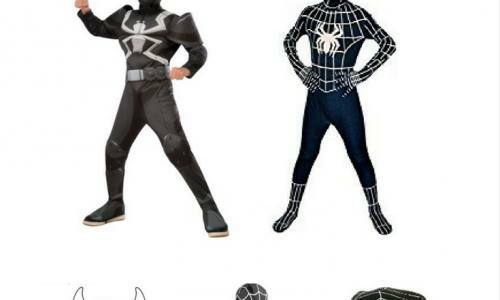 Best Black Spiderman Kids Costumes – Venom-Symbiote Costume That Rocks! I assume your kid is a big Spiderman fan if he wants the black Spiderman costume. In this article, we feature the different ways to “cook up” this outfit for Halloween. Buy one or make one yourself. Whatever you decide to do, these costumes are sure going to excite any true Spiderman fan. Is it a baby flower bunting or a pretty or funny flower costume for kids you’re looking for? This ultimate list of flower costumes you’ll want to see. 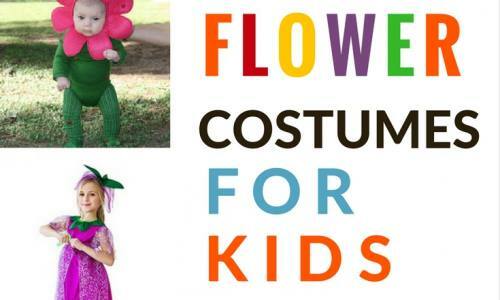 All sorts of ideas to make the perfect flower costume for Halloween. From sunflower hoods for toddlers to pretty flower fairy dresses. !